The X-raid Team and the Monster Energy X-raid Team, just a week after thejf success in the Abu Dhabi Desert Challenge – with four MINI ALL4 Racing vehicles in the top 10 – now are going to contest the Sealine Cross Country Rally in Qatar. Over the course of the five days, the competitors will cover nearly 2,000 kilometres, with the special-stage distance amounting to 1,740 kilometres. The first special stage with a distance of some 160 kilometres will be the shortest. On the following four days, the teams will have to cover an average mileage of about 400 kilometres. 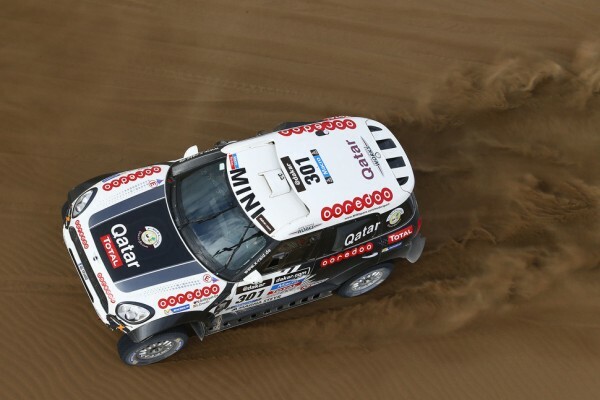 Crews and vehicles will have to cope with the most different terrains, in Qatar: the event features sand and dunes on the one hand as well as fast and rocky tracks on the other.